Dropbox Business helps your organisation grow, while you keep complete control of your important data and user activity. Files in your Dropbox folder stay updated on every device linked to your account. Whatever device you save a file to, it will automatically save to any mobile or desktop device. In addition Dropbox backup all of your files and protect them with up to 120 days of version history and deletion recovery. Getting old versions or deleted files back is simple and doesn’t even require help from the IT team. Share files and folders easily with third-party contacts – even if they aren’t Dropbox users. To manage sharing securely, you can see viewer information and any links shared can be secured with expiry dates and even passwords. With the comments functionality you can easily gather feedback on your files. Invite teams to shared folders, where they can add and edit files together. Changes and updates to files are automatically synced, giving everyone access to most recent version in their Dropbox folders. 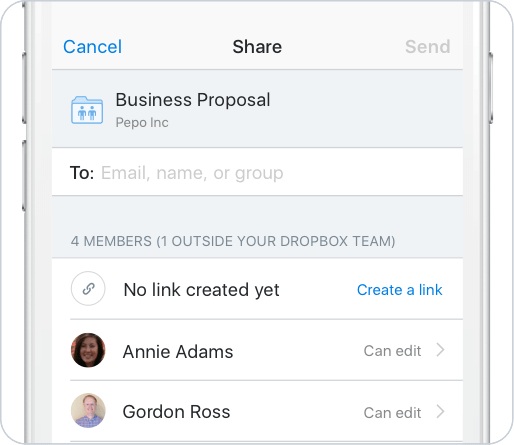 Simply create and manage lists of teams within your Dropbox Business account with the groups features. 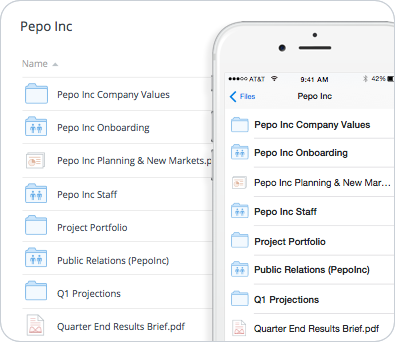 Give employees, new and old, access to specific folders easily. Manage your members and associated corporate data from a single console. 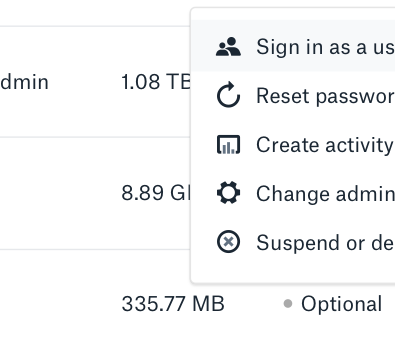 The admin dashboard includes all of the features you need to deploy and manage Dropbox. Through in-depth audit logs, you can track how data is shared with individuals internally and externally. Perform targeted investigations with refined filtering and enhanced search. Keep company data secure stays in the right hands with intuitive sharing controls. 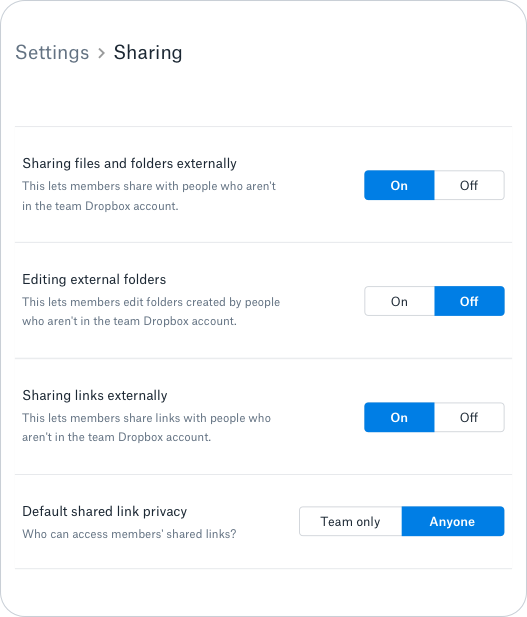 Expiry dates and passwords can be added to shared links, while Dropbox admins can decide which teams have access and whether sharing is allowed outside the company. Add extra layers of protection to user accounts. Two-step verification requires users to input a six-digit security code to sign in or connect a new device. Single sign-on lets team members gain access securely using an existing identity provider such as Active Directory.